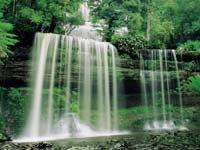 Australia comprises an area of some 8 million square kilometres; it is a country of extremes and almost all of it is accessible by rental motorhome, campervan, car or motorbike. Exploring Australia by motorvehicle provides you with the chance to venture into remote areas, tropical rainforests as well as inland deserts. You will find an abundance of plant and tree species as well as an enormous diversity of bird- and other animal species (marsupials!) that are unique to Australia. 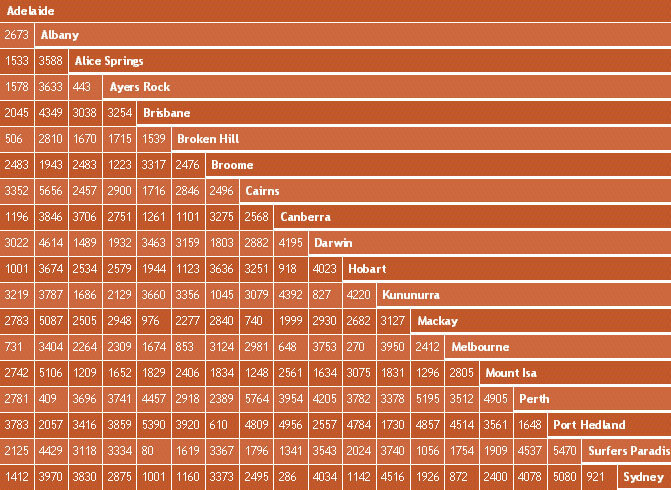 Visit large cosmopolitan cities like Melbourne, Sydney and Perth but also tiny Outback settlements. 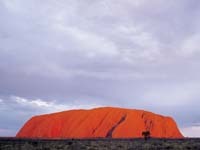 Australia and its easygoing friendly people welcome you to a true adventure that you will never forget! Why discover the ‘real Australia’ by 4×4? ‘No boundaries’: That is what it is all about! Despite the fact that Australia is a great and very impressive holiday destination experienced from behind the wheel of a normal 2WD car or campervan, its largest part will remain undiscovered that way. Australia has an extensive network of many gravel and dirt (formed earth) roads that opens up the country and outback and often leads to the most beautiful and breathtaking spots. With a 4WD campervan you can really turn a regular holiday into a true adventure! You don’t always need a 4WD though: the East coast of Australia can be discovered by a normal 2wd campervan, motorhome or sleepervan through our parent company Totally Campers. In Western Australia, the Northern Territory and South Australia however, a 4WD is almost a necessity to see all the highlights and to release your inner sense of adventure! Only a 4WD vehicle gives you access to swimming holes, impressive rock formations, national parks, remote white sandy beaches, small settlements and stunning camping spots. ‘Regular’ 2WD rental cars and campervans are always very limited in terms of where they are allowed: on sealed roads only. A 4WD vehicle is allowed on most gazetted roads and tracks. Always follow the local rules and regulations and of course the terms and conditions of the rental companies since they own the vehicles. 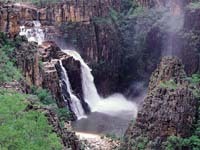 Many national parks and other unique wilderness areas can only be explored by 4WD. Unlike normal vehicles, 4WD cars and campers bring a few extra points of attention. It’s definitely not that you should use them all but it’s good to know about the existence. Some sections of the Australian bush can only be traversed with a permit. This usually applies to Aboriginal owned land. Unfortunately, this is not organised centrally and each state and territory has its own system. A really informative website is Exploroz where you can find what permits are needed where and how to obtain them. Another useful website is that of the Central Land Council. Special permits are required for Docker River, Gary Junction, Sandy Blight and the Glen Helen-Papanuyu roads and these can be obtained via this link. Permits for the Mereenie Loop Road can be obtained from the Alice Springs Tourist information office, Hermannsburg, Glen Helen resort and Kings Canyon resort. Totally4wdCampers is the only agent that offers 4WD vehicles that are allowed on the famous Canning Stock Route. This is one of the last real adventures. It is adviseable to travel this long and remote track with a minimum of 2 vehicles and vehicle bookings must be made at least 1 year prior. We will make sure your vehicle is kitted out with the best 4WD recovery gear, a 2 way radio and 2 spare wheels extra jerrycans for water and diesel. Permits for the CSR can be obtained through the CSR site. 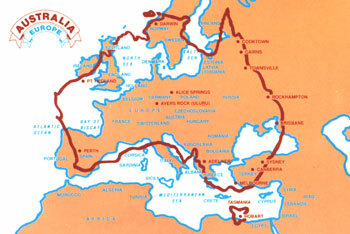 Traveling along the East Coast of Australia, for instance from Cairns to Melbourne or vice versa? Be aware that Brisbane, Sydney and Melbourne have changed their main thoroughfares into Toll Roads. It is basically impossible to not use them and the toll can only be paid electronically or by creditcard within a few days after using these roads. No toll booths are present, and you will not be sent a reminder for payment. However, you will be sent a hefty fine if you do not pay. Therefore, it is the user’s responsibility to pay on time. Most rental companies have their own system to make it easier for you to pay through them. Please enquire with us when you book a vehicle and we can advise you accordingly. 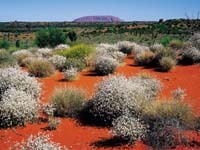 We strongly advise to familiarise yourself with the lingo used in outback travel. This document (PDF) offers a lot of practical and useful information to all Australian Outback adventurers! Join an organised 4WD tour? Totally4wdCampers is working closely with the renowned Outback touroperator “Global Gypsies”. Watch this space, since we will be offering their fantastic tours on this website soon! Have you always wanted to travel through a particular part of the Australian Outback, or even the exciting “Canning Stock Route” but has the threshold to do this by yourself been too high? This is your chance… The very experienced local guides will make sure that you will have an experience of a lifetime and we will supply you with a suitable vehicle for the tour you choose. 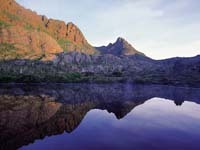 The tour groups are small which adds to the experience and the adventurous character of these trips. The distances in Australia are not to be underestimated. Especially when you drive on unsealed roads, your daily average will not be high. Keep this in mind when planning your trip. We are happy to advise you as well of course! 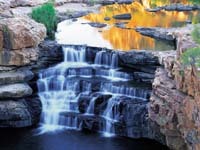 Check our 4WD itineraries for example, or get in touch for some personal advice. To get an idea of distances, check out the below table. To find out what the distance is (shortest route) between two places, simply match the two town names horizontally and vertically.